Would you believe that a fatty acid can help to reduce body fat? The fatty acid is known as Conjugated Linoleic Acid (CLA) and is found in a variety of natural foods (primarily meats and dairy products). It is now available from a 100% vegetarian source. What Is Conjugated Linoleic Acid (CLA)? Conjugated Linoleic Acid is a fatty acid that has been shown to reduce body fat and promote muscle tone in laboratory studies. CLA is traditionally found in beef and dairy products. Humans do not produce CLA. 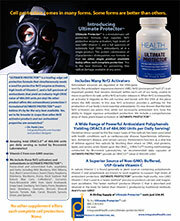 However, it can be obtained by ingesting foods that contain CLA. HPDI understands the need for Conjugated Linoleic Acid and offers it in 1,000 mg softgel capsules. You can supplement your diet with HPDI’s CLA, which is specially processed from the linoleic acid in safflower oil. Conjugated Linoleic Acid was discovered by Dr. Michael Pariza and Dr. Mark Cook at the University of Wisconsin, Madison. It has been studied as an anti-carcinogen as well as a catalyst in the retention of lean muscle tone, body fat reduction, and energy metabolism. How Is CLA Produced In Nature? CLA is produced naturally in grazing animals. Cattle and other ruminants have a unique enzyme in their digestive systems that convert the linoleic acid readily found in green plants to conjugated linoleic acid. This free fatty acid is then stored in the animals’ muscle tissues and milk. Humans obtain the benefits of CLA after consuming meat or dairy products from these animals. Owing to the fact that cattle are no longer raised with fresh greens (i.e., grass), but instead are fed oats, barley, hay (and/or other grains or dried grasses), they no longer produce the amounts of CLA they did when they were range fed on fresh green plants. How Is CLA Produced Now? CLA can still be found in cattle and other ruminants. However, the levels of CLA in these animals is significantly lower when compared to previous levels. CLA today is synthesized from sunflower and safflower oil. Because of this humans may continue to enjoy the benefits of CLA in a supplemental form. How Does CLA Benefit Our Diets? According to Dr. Pariza and Dr. Cook, Conjugated Linoleic Acid is a previously unrecognized nutrient that most individuals do not obtain in sufficient quantities anymore and this may be the reason why many people have greater percentages of fatty tissue now than ever before. Grass used to be the primary food source for cows and other grazing ruminants. Grass is rich in linoleic acid. An enzyme in the animals’ digestive systems converts linoleic acid to conjugated linoleic acid. Meats and dairy foods used to be the best source for CLA. However, due to changes in the way these animals are raised (they are rarely pasture grazed as they were in the past) and the reduced consumption of red meat and dairy products, the levels of CLA in our diets have been dramatically reduced. How Can We Obtain More CLA In Our Diets? Many vegetable oils contain linoleic acid. HPDI’s supplier uses a unique process to convert the linoleic acid in safflower oil to conjugated linoleic acid. The supplier uses pesticide- and herbicide-free safflower oil and the processing methods do not involve the use of toxic chemicals such as hexane. 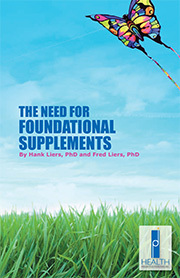 You may now obtain CLA—and all of its benefits—from a nutritional supplement. Have There Been Any Human Trials Using CLA? One of the first human clinical trial results using (CLA) documented a 20 percent reduction in body fat on humans without changes in diet or exercise. The study was conducted by Erling Thom, Ph.D. of MedStat Research Ltd. in Lillestrom, Norway. This double-blind, placebo-controlled study confirmed what all previous animal studies on CLA have documented: CLA’s remarkable ability to reduce body fat and improve lean muscle mass by improving the way the body utilizes nutrients and by acting as a powerful antioxidant. The active group receiving CLA showed a 20 percent reduction in body fat percentage, or an average reduction of seven pounds of fat. Unique to this type of study, the participants weighed 156 pounds on average and were instructed not to change their diet or exercise patterns. The participants were not obese; they actually had a very normal body mass index of less than 25. CLA’s anti-catabolic effects have also attracted the interest of bodybuilders, weightlifters, and endurance athletes whose intense workouts could benefit from CLA supplements. How Do I Take CLA Supplements? HPDI’s CLA comes in 1,000 mg softgel caps, which provide a minimum of 770 mg of CLA per softgel. It is easily assimilated into the body. Suggested Daily Dosage: Take 1-2 capsules three times a day, preferably with food. Most research has indicated substantial benefits by consuming about 1% of your total calories as CLA. For example, for a 2,000 calorie daily diet, an individual would need to consume approximately 2,000 mg of CLA, which is the amount found in 2-3 CLA softgel capsules. Conjugated Linoleic Acid is a previously unrecognized nutrient that occurs naturally in wide variety of foods, especially in meats and dairy products. In more than 17 years of research, CLA has been shown to be an anti-carcinogen in several animal models; to reduce the adverse catabolic effects induced by immune stimulation in rats, mice and chickens; to enhance growth performance in rats; and to inhibit plaque formation in rabbits fed an atherogenic diet (at least in part via changes in lipoprotein metabolism). In recent years, scientists at the University of Wisconsin-Madison and elsewhere have begun to study the effects of CLA on metabolism, energy retention, and the balance between body fat and lean body mass. According to a recent scientific paper, CLA inhibits the body’s mechanism for storing fat and causes the body to utilize fatty reserves for energy. A significant study conducted at Purdue University showed that in an animal model of diabetes, CLA was able to completely prevent the onset of diabetes! Conjugated Linoleic Acid has been shown to inhibit lipoprotein lipase, an enzyme that breaks down fat globules in the blood so that adipocyte (fat cell) uptake (or body fat accumulation) can occur. The inhibition of lipoprotein lipase results in reduced fat deposition. CLA increases hormone sensitive lipase activity. Lipase is an enzyme responsible for breaking down fats stored in fat cells in the body. The fatty acids are returned to the bloodstream to be used as an energy source for muscle cells. CLA directs the body to use fat reserves for energy. CLA has powerful antioxidant properties. It has been suggested that adding CLA to foods may prevent oxidation and mold growth in the food products. Click Here to BUY Conjugated Linoleic Acid NOW! West DB, Delany JP, Camet PM, Blohm F, Truett AA, and Scimeca J. “Effects of conjugated linoleic acid on body fat and energy metabolism in the mouse.” Am J Physiol (1998 Sept) 275 (3 Pt 2): R667-72.